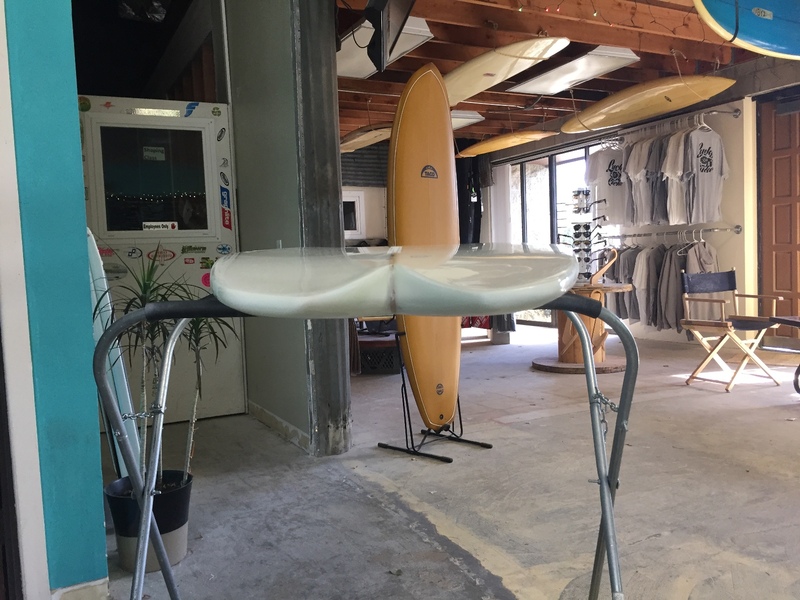 A customer of mine is an avid kneeboarder and belly-boarder. 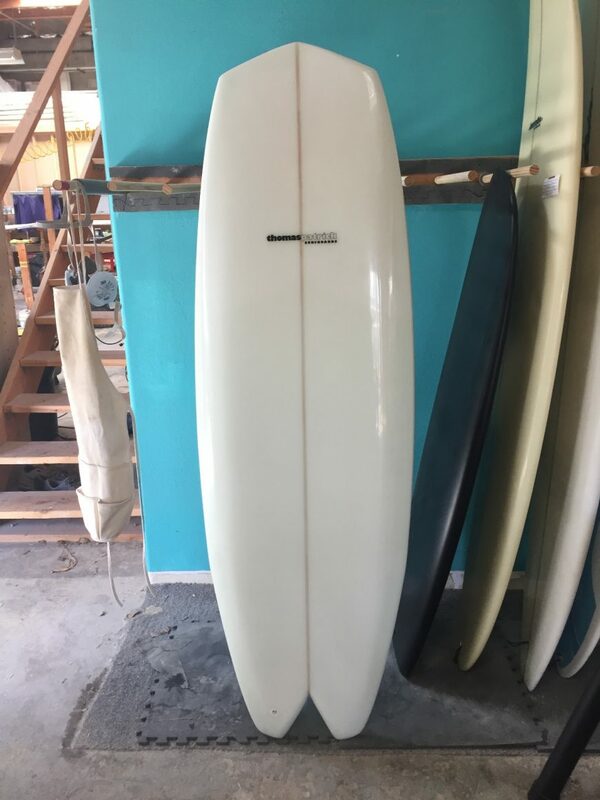 He owns two T-Bellys and has been asking me for a kneeboard for over 2 yrs. I finally gave in, and after much discussion, he and I came up with this shape. 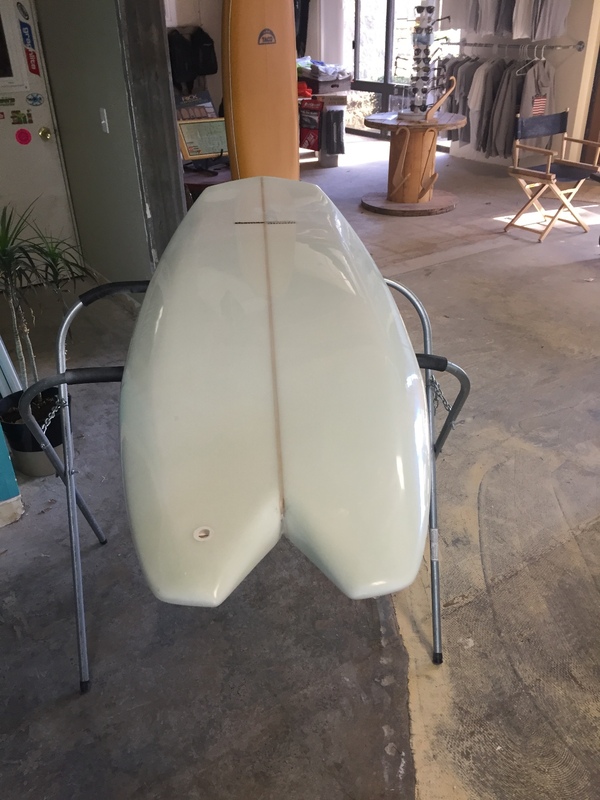 This is what is known as a “Modern Planing Hull” shape, made popular by Austrailian shaper Tomo. 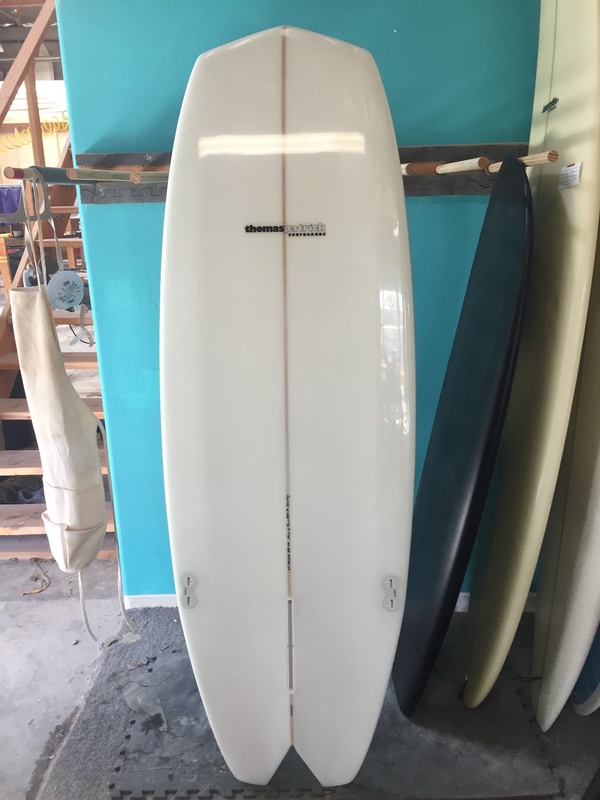 This 6’2″ kneeboard has the wide nose and tail and almost parallel rails of most MPH, but has a lot of features more suited to a kneeling rider. Deck side, I used a concave deck to help keep the rider centered, and a sloped-rail to rapidly reduce rail volume in a 3-1/8″ thick board. The bottom is a single-concave to spiral V, with dual concaves exiting the tail. There is significant V in the tail, which extends the full-length of the board in the form of a wide, beveled-rail. 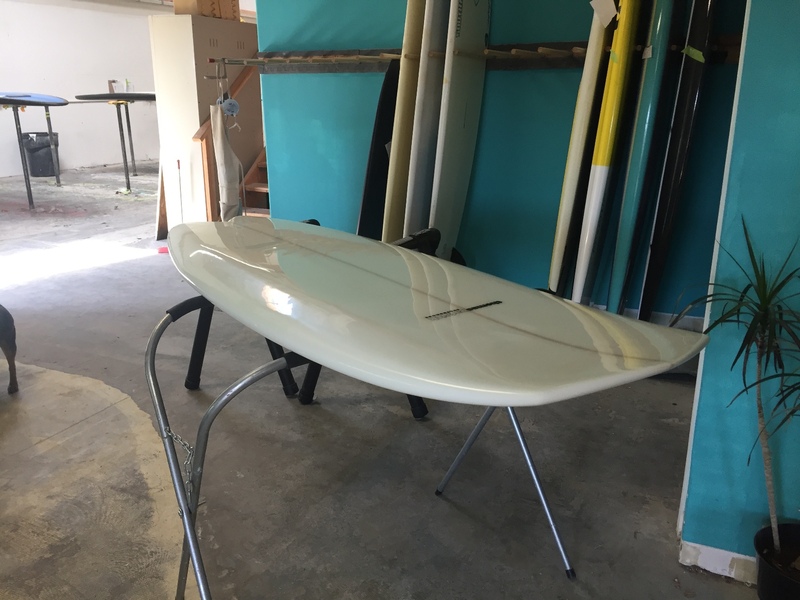 This bottom configuration makes turning from the center of the board much easier, while providing lift and efficient water flow.